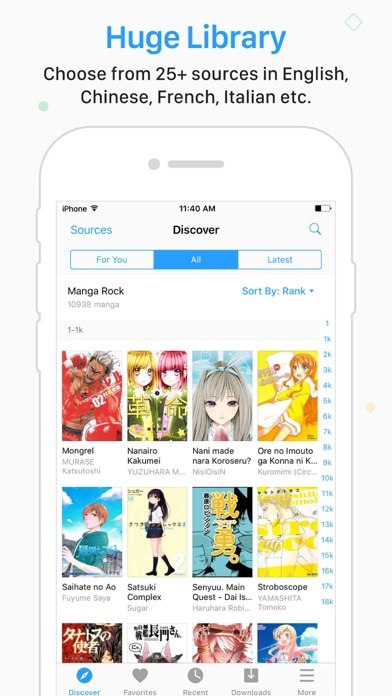 Manga Rock is the go-to app for all your manga reading needs! HUGE LIBRARY Read thousands of manga in many different languages: English, Spanish, French, Portuguese, Italian, Chinese etc. 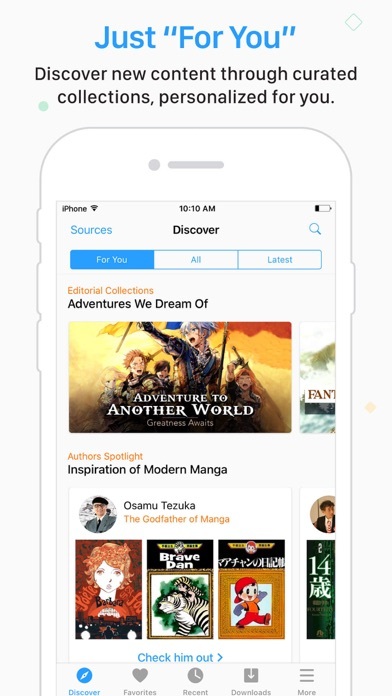 from over 25 popular sources JUST “FOR YOU” Discover new manga, great authors, or “hidden gems” through our editorial collections & recommendation THE BEST VIEWER Enjoy a seamless reading experience & customize it any way you want. 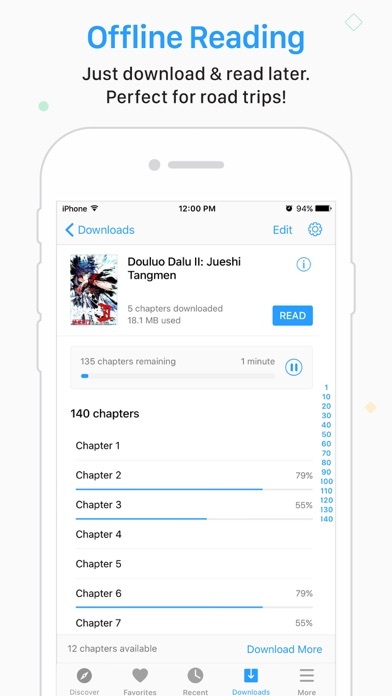 OFFLINE READING Download any manga back to your device & read later without constant Internet connection … and many other wonderful delights you will discover in the app. DISCLAIMER: Due to copyrights, not all manga are available in some regions. 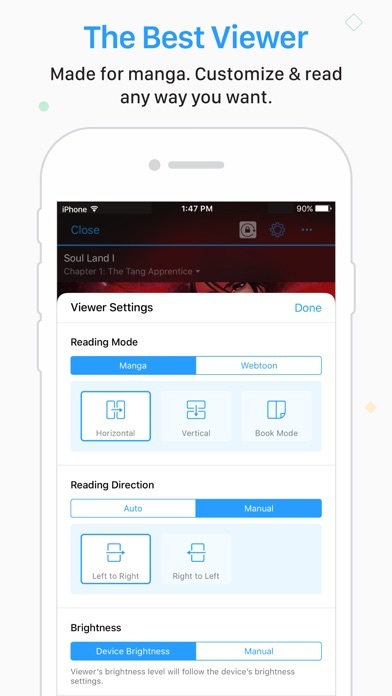 I love this app for having all of my favorite manga’s on it! 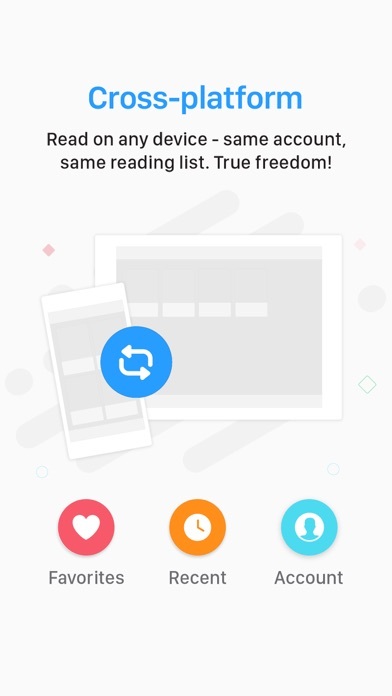 They load fast and give me suggestions based on what I’m currently reading. I’m definitely satisfied. I really like how it’s designed, but I think the author pages could have a few more options. Like you can also see their works from that page, and maybe a way to favorite them. Overall, I think it’s a snazzy way of getting your manga! I really like this app. The searching and saving of manga is really easy, and I’ve often passed the time browsing through the recommendations, though I still find the best pieces by recommendations from friends. I wish there was some kind of rating system for manga, or at least a way to mark f I didn’t care for one so I wouldn’t get recommended something else just because I checked one thing out. Another good addition would be for there to be some kind of indication on if I’ve checked out a manga already. A lot of the covers have a tendency to look different of have multiple covers, so I’ve had a couple instances where I go to check something out only to find I’ve looked at it before. Over all, a great app and I would highly recommend this one over its competitors.